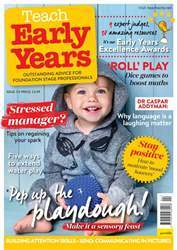 8 ways language enriches early learning, how to pep up your playdough, and why nursery managers’ wellbeing is at risk. 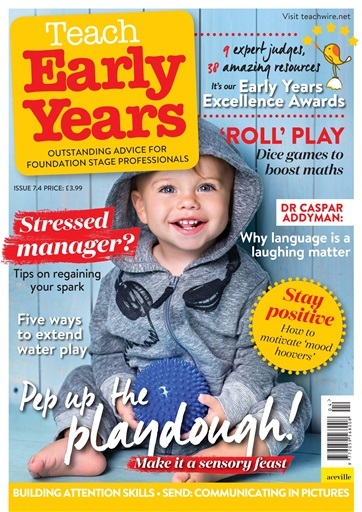 This issue we also announce the winners of the first Early Years Excellence Awards – our 24-page special features 38 fantastic resources, including products and publications spanning the EYFS, engaging picture books and effective CPD solutions. Elsewhere discover what laughter tells us about the development of speech, explore the challenges of middle leadership in the Foundation Stage, and find simple ways to boost maths learning with dice. Plus, don’t miss our nursery rhyme-themed activities for summer!